The IPCC’s long-awaited Special Report ‘Global Warming of 1.5°C’ issued an alarming message to policy makers calling for ‘rapid and far-reaching’ transitions in land, energy, industry, buildings, transport and cities, in order to keep global temperature rise below the 1.5°C threshold. We take a closer look at what the report’s findings will mean for transport and heavy industry sectors. One of the report’s key findings is that we are already witnessing the consequences of a 1°C increase of global temperatures in the form of more extreme weather patterns, rising sea levels, and diminishing Arctic sea ice, among others. The report, furthermore, urges for global anthropogenic CO2 emissions to be cut by 45% from 2010 levels by 2030, reaching net zero by 2050, which in turn would require any remaining emissions to be balanced by removing CO2 from the air. In other words, nearly every country will have to significantly re-think and scale up its commitments under the Paris Agreement. A recent Climate Action Tracker assessment shows just how difficult this task will be, as only seven countries’ national climate pledges today are compatible with the targets of the Paris Agreement. The majority, including the European Union, are failing to even commit to sufficient emission cuts on paper. Will the EU live up to its claimed ‘climate leader’ title? While clearly running behind schedule, the EU has ample opportunities lined up to boost the ambition level of its targets and policies, among which is the ongoing work of the Commission on its long term decarbonisation strategy to achieve net zero emissions in 2050. Critically, the pathways consistent with the Paris Agreement show a huge decline of coal power to a near-zero share of global electricity production (from approximately 40% today). If the EU is serious about its climate leadership, it will have to fix its own house, notably Germany and Poland, who seem hell-bent on preserving their coal power for the foreseeable future despite the implications made clear by this report. Germany’s proposed 2035 phase-out of coal is not in line with the EU’s stated ambitions. The European transport sector clearly stands out for its stubbornly increasing CO2 emissions. The IPCC report stresses the need to eliminate emissions from transport as soon as possible, and points to the fact that mere efficiency gains will fall short in getting us to our goal. Indeed, the report states that keeping global warming below 1.5°C will require an additional 10%-20% share of low-emission transport compared to keeping below 2°C. This in turn would entail between 35-65% of all global transport to be powered by low-carbon energy. This is a far cry from where we are now, with estimates pointing at 5% in 2020. To achieve this, the EU currently has a plethora of legislative files currently in the pipeline which can play a critical role before the next European elections in May. Firstly, the EU regulation setting CO2 standards for light-duty vehicles is entering the final stages of negotiations. While the Parliament approved a reasonably ambitious target of 40% reductions by 2030, the Commission and Council only agreed a mere 30% and 35% by 2030 respectively. The upcoming negotiations should take the IPCC’s findings into account by providing a strong incentive for the production and sales of zero-emission transport, not simply lower-emission. Thus, the faster internal combustion engines are confined to the past, the easier it will be to meet the Paris Agreement’s target. Another key piece of legislation currently undergoing revision is the Clean Vehicles Directive, which too is about to enter a critical stage. Establishing strong mandates for public authorities to purchase clean vehicles is an untapped resource in creating vital market demand for zero emission products which will need to become mainstream within the next decade. Pushing public authorities to buy clean vehicles would provide the necessary impetus to improve economies of scale and reduce purchase costs of zero emissions transport, while serving to provide a ‘carrot’ component for car manufacturers’ producing electric vehicles. For heavy industry sectors, which currently account for a quarter of global emissions, the outlook isn’t much better. The report points out that emission reductions through energy- and process efficiency will not be sufficient to limit warming to below 1.5°C or 2°C. 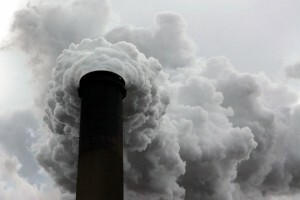 The IPCC stresses that a 75-90% reduction in emissions by 2050 would be needed. Once again, in this report Carbon Capture and Storage (CCS) technology plays an important role in electricity generation, yet there is just a side-mention of its application in industrial activities, which is an untapped and essential resource for reducing emissions from this sector. On a positive note, the Special Report comes just two months ahead of the UN Climate Conference, COP24, in Katowice, Poland, where governments are set to progress discussions on the implementation of the Paris Agreement. The IPCC’s latest scientific input will be instrumental in catalysing ambition level. As has been the case with previous years, Bellona will be actively represented at COP24 throughout the two weeks of the conference, and will be hosting a number of side events on the key topics of electric transport, zero emission construction sites, as well as heavy industry decarbonisation.